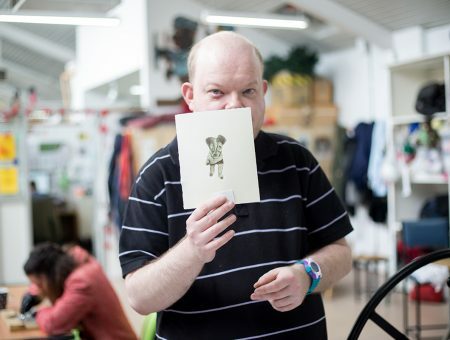 As a community organisation Arts Project is supported by an incredible team of volunteers and student placements. By generously giving their passion, time and expertise, volunteers and interns assist our artists and are staff to continue the important work we do. 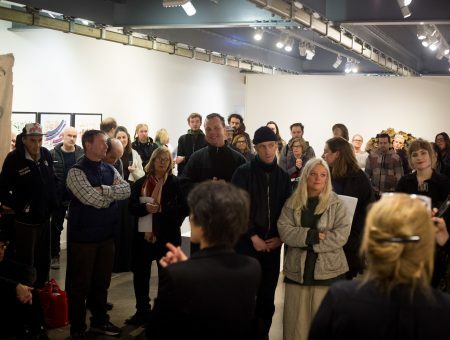 Being a volunteer or intern at Arts Project offers a rewarding opportunity to learn more about what we and our artists do, see a large and diverse collection of artwork and meet new friends. 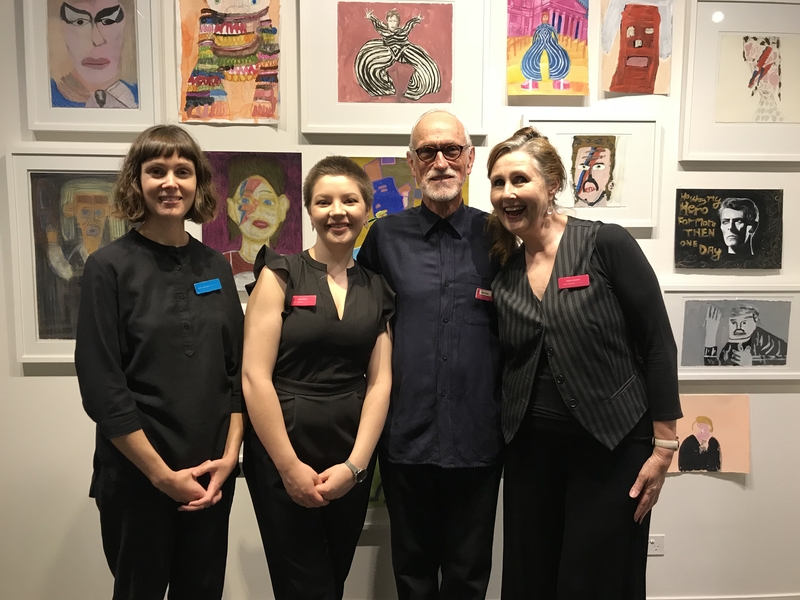 Intern Chloe Hazelwood and volunteers Sarah Wood, Michael Pearce and Debra Howlett, assisting Arts Project Australia at our 2018 fundraising dinner. My time at Arts Project was always the highlight of my week, it strengthened my passion and knowledge of art and of people. I am so grateful for the experience. I sincerely thank you … for every opportunity where I was able to learn and smile whist at Arts Project. We will reply to you as soon as we can however, given how many enquiries we receive and how busy we are, it may take a couple of weeks for us to respond, so we kindly ask for your patience while we review enquiries and get back to you.